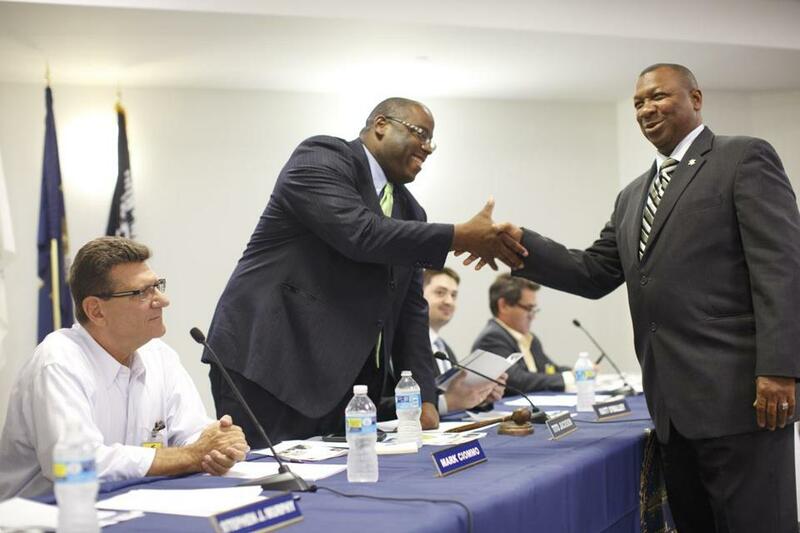 Tito Jackson was sworn in as a city councilor in 2011. He has a reputation for calling out the powerful. In his six years on the job, mayoral challenger and City Councilor Tito Jackson has led protests demanding more school funding, pressed police to wear body cameras, and stalled a hotel project in his district until a developer agreed to higher wages for neighborhood workers. His calendar logs long hours — early breakfasts, late community meetings. And his dossier is packed with hearings (at least 45), requests for hearings (at least 107), and at least 18 resolutions, according to a Globe review of Jackson’s council work since 2011. But his list of legislative successes is not extensive. Jackson has pushed two measures through the council: an ordinance for a black men and boys advisory commission (which Mayor Martin J. Walsh vetoed); and a 2012 amendment on redistricting, a compromise that ended rancor on the council over the always-thorny issue. He also cosponsored six other pieces of legislation that passed. Council historians stressed there is nothing unusual about Jackson’s limited record: Most of the substantive legislation the council votes on originates with the mayor. It is part of what makes incumbent Boston mayors so hard to unseat, as Jackson, a decided underdog, knows well. Beyond his legislative tally, Jackson, who represents the largely minority District 7, has emerged as one of the more vocal members of the council, with a penchant for calling out the powerful and colliding with the mayor. He has declared that the appointed School Committee “abdicated its responsibility” to children, called last year’s state ballot initiative to lift the charter school cap “a poison pill” for Boston, and demanded that Walsh “come clean’’ about whether he testified before a grand jury in a federal corruption probe at City Hall. They are the races that have played out in the background of a humdrum mayoral election, in the neighborhoods where politics matter. An analysis of his work as an elected official offers a window into how he might lead and the issues he would likely champion if he succeeds in his quest to topple Walsh. He has a tough road to navigate: To supporters, Jackson is a man of substance; to his critics, he is all talk. “People forget how little the council can really do. 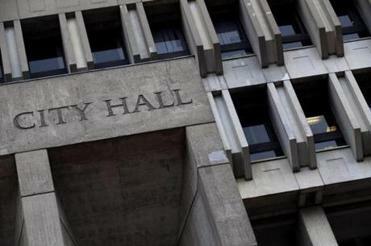 [Jackson] is in a role where his voice is most important,’’ said Erin O’Brien, a University of Massachusetts Boston political scientist who was a policy consultant on Walsh’s first mayoral campaign. Jackson’s pointed rhetoric has left him vulnerable to criticism that he leaps from issue to issue with little follow through — an assertion Jackson and his supporters reject. He said that he uses the council’s bully pulpit to press for accountability and give voice to those who don’t feel heard by their government. Despite the limited power of the council, Jackson said he has gotten things done. He intervened on students’ behalf when racial issues convulsed Boston Latin School and demanded the financial records for the failed Olympics bid. He helped press Northeastern University to significantly increase local contracts for goods and services in its 2013 master plan. The university agreed to set aside $2.5 million in an economic development fund to help local businesses expand. To those disappointed in the current mayor, Jackson has, in the view of his fans, been hitting all the right notes. 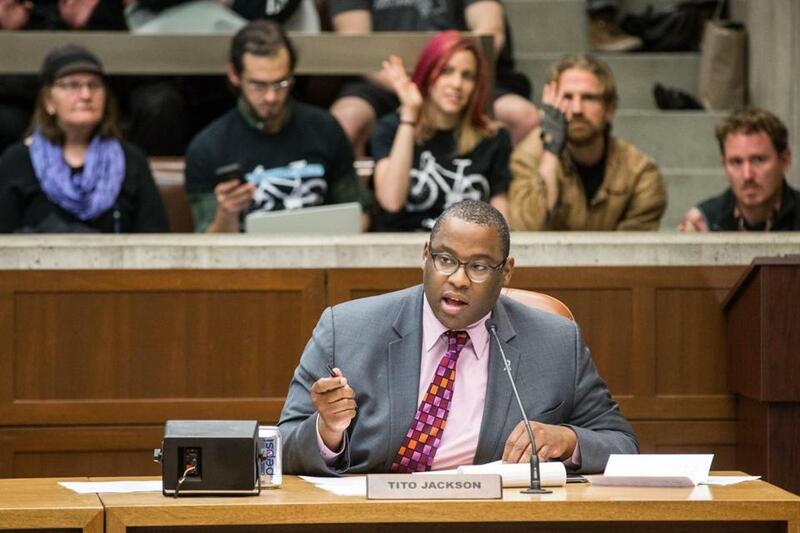 City Councilor Tito Jackson spoke during a transportation hearing at City Hall in May. Jackson came into office in a low-turnout special election in 2011 to replace ousted councilor Chuck Turner, and hope swelled through the district that things would be different with Jackson,the political director of then-governor Deval Patrick’s successful 2010 reelection campaign. He was among the next generation of black politicians learning to work within the system, even as they challenged it. His district — which sprawls across Roxbury and parts of Dorchester, Fenway, and the South End — is a mix of middle-income residents with spectacular views of the city and a steady tide of despair, double-digit joblessness, and crime. Kevin Peterson, who heads the civics group New Democracy Coalition, said Jackson gets pulled from all sides — from people who don’t feel the councilor is fighting hard enough on their behalf to those who flock to his office for a bus pass, rent, or safe haven from gangs. “His constituents ask him to bear the burden of spreading himself across various issues, which may give him the appearance of a lack of focus. But that is not true,” Peterson said. In 2015, for instance, Jackson helped successfully push developers to get the operators of a proposed hotel in the district to pay their workers $18 an hour, provide $400,000 in job training and other community incentives, and ensure that 50 percent of the workforce came from the community. Jackson has sometimes been compared to Bruce Bolling, a former District 7 councilor in the 1980s who ran unsuccessfully for mayor in 1993. In spite of the council’s weaknesses, Bolling got laws passed and policies instituted that limited discrimination in the real estate industry and required a dedicated number of construction jobs for Boston residents, women, and people of color. But council historians note that Bolling, a savvy deal maker, served under mayors Kevin White and Raymond Flynn, who often solicited, encouraged, and implemented ideas that originated in the council. Menino rendered the council largely mute. And, although Walsh promised a new partnership with the council, he has mostly taken the leading role on legislative initiatives for himself. And, except in a few cases, councilors, Jackson included, have gone along. Tito Jackson shook hands with Suffolk County Sheriff Steven W. Tompkins in 2015. Linehan, a Walsh supporter, said he assigned Jackson to a special council committee for young men of color after the mayor vetoed Jackson’s commission on black and Latino men and boys. And he gave Jackson the chairmanship of the Education Committee in 2014, saying he felt that Jackson, an African-American, would have a unique perspective addressing the needs of the city’s schoolchildren, who come from racially diverse backgrounds. But Linehan said that he does not know what became of the special council committee. He was also disappointed that Jackson, as education chairman, did not draw on his prior business experience to come up with ideas for new sources of funds for the schools. Jackson’s Special Committee on the Status of Black and Latino Men and Boys held a first-of-its-kind hearing in the Suffolk County House of Correction in 2015 to highlight criminal justice issues. There has not been a second hearing. Jackson said he makes the struggles of men of color his special concern. He has called for action to combat violence in the city, urged a police body camera pilot program, and advocated for a ballot initiative that legalized marijuana. Black men were three times more likely to be jailed for possession of cannabis, and seven times more likely for distribution of the drug, he said. At the same time, Jackson has been criticized for burning bridges with allies and flip-flopping on some issues when it is politically expedient, including the city’s ill-starred Olympics bid. The councilor said he had been initially willing to learn about the Games in Boston and begin conversations around transportation and infrastructure. But, he said, he lost faith in the process and subpoenaed the Olympics bid’s financial documents. 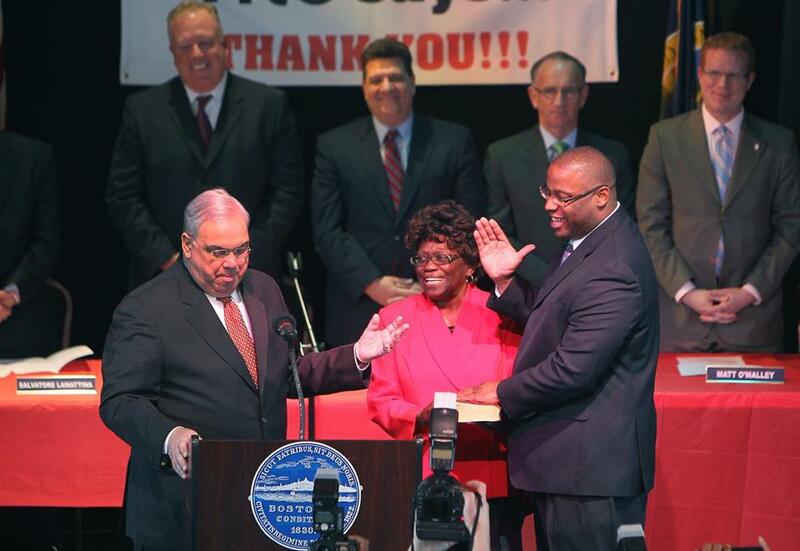 Tito Jackson was sworn in as a Boston city councilor in 2011. 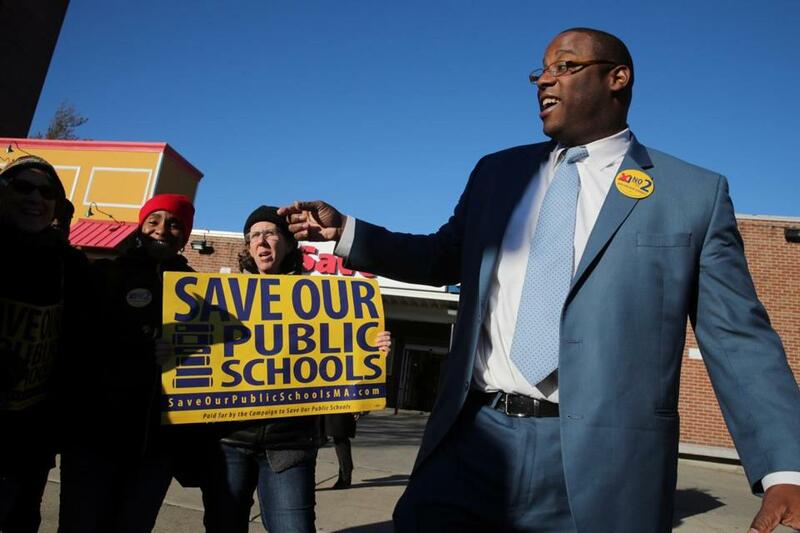 Around the city, Jackson’s ability to mix it up with the administration has made him a favored figure for a legion of parents and members of the Boston Teachers’ Union. “He certainly agitated for bigger budgets and more resources for the schools and has been more vocal on issues that concerns us,’’ said Richard Stutman, the former teachers union president. Jackson marched with thousands of students, teachers, and parents in protest of the proposed budget cuts at some schools last year, and he has pressed the city to “fully fund” the system. Critics said he was using the moment to champion his own political agenda. In voting against the budget again this year, Jackson said Walsh had cut about $140 million in school spending since taking office. City officials said the Walsh administration has increased the school budget by more than $154 million. In last year’s scrap over the charter school ballot initiative, Jackson made both friends and foes. Marty Walz, a former Massachusetts representative who twice debated Jackson on the charter school issue, said the councilor was passionate about his talking points but veered from the facts. “In my experience, Tito’s strength was his ability to speak passionately about an issue, but his understanding of education policy generally — and charter schools in particular — lacks depth,’’ said Walz, a Back Bay Democrat who supports Walsh. But advocates in the No on Question 2 campaign strongly refuted Walz’s observations, saying it was Walz who was way off base. The ballot initiative failed miserably at the polls.